This photograph taken and released by the Intermediate Peoples' Court of Dalian on January 14, 2019 shows Canadian Robert Lloyd Schellenberg (C) during his retrial on drug trafficking charges in the court in Dalian in China's northeast Liaoning province. 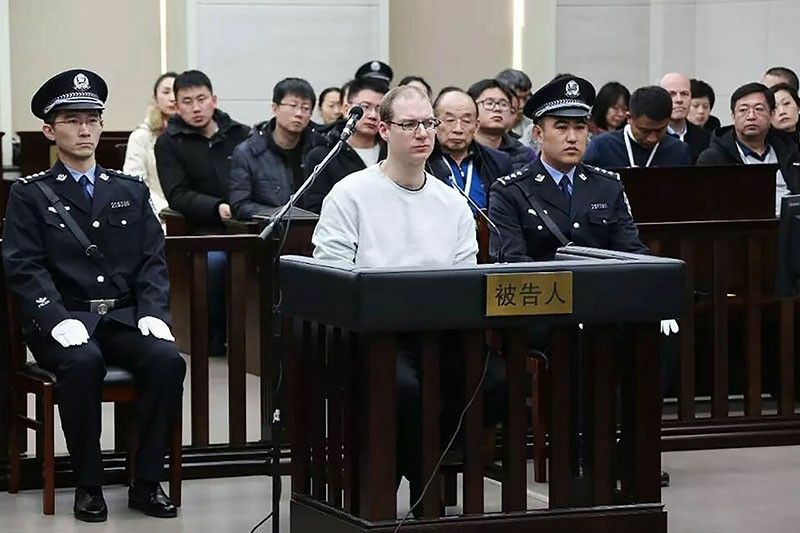 The court sentenced Schellenberg to death on drug trafficking charges on January 14, 2019 after his previous 15-year prison sentence was deemed too lenient, a ruling that has deepened a diplomatic rift between Ottawa and Beijing. MONTREAL, Canada — Canada urged Beijing on Tuesday to grant clemency to a Canadian sentenced to death for drug trafficking, after his sentence reignited a diplomatic dispute that began last month. In a move observers see as retaliation over the Huawei case, Chinese authorities detained two other Canadian citizens—a former diplomat and a business consultant—on suspicion of endangering national security. China executes one or two foreigners every year—nearly all for drug offenses, according to John Kamm, director of the US-based Dui Hua Foundation rights group.